‘36EXP.’ is a photographic exhibition involving 36 artists and 36 contact sheets. ‘36EXP.’ is a photographic exhibition involving 36 artists and 36 contact sheets. The concept of the exhibition is based upon a standard 36 exposure photographic film. From March to September 2010, ‘36EXP.’ accepted submissions from artists, photographers and students from all over the world, some as far as Canada, India, Israel, China and Australia. The outline of the brief was simply to return to photographic film, whether 35mm, 120mm or slides, and to produce a contact sheet from the roll of film used. The exhibition featured a selection of photographs from each artist, alongside its accompanying contact sheet, providing the template for this book. In this diverse exhibition, digital photography is abandoned in an attempt to rejuvenate traditional film methods. Each artist has taken a critical and considered approach to the exhibition of their contact sheet; some have consciously planned each frame, creating ‘aesthetic contact sheets’, whilst others have retained a more organic approach, simply exhibiting the result of using film. Commissioned and curated by Jack Howard. My submission was a roll of slides (Fujichrome 400) of the Liverpool Chinese New Year celebrations from 2005. 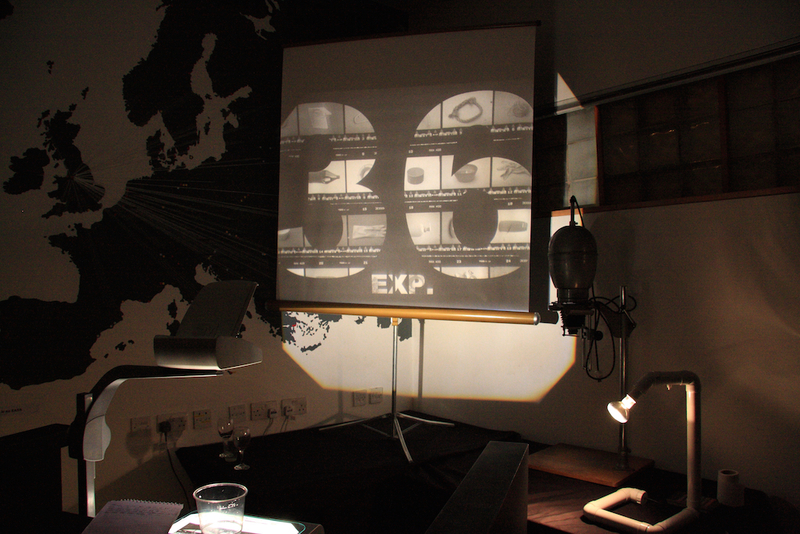 These were projected (not printed) on a wall in a specially built room for the exhibition.